A capsule wardrobe is a handy wardrobe concept that can make life hundred times easier for the lazier you or the days when dressing up seems like a chore. With a capsule wardrobe, you can bid your dressing woes goodbye forever. This wardrobe is so compact yet so extensive and handy that once you use it, you won’t look back at your old wardrobe arrangement formula. And if you can put together a capsule wardrobe for your work attire, you will feel pretty much like hitting a jackpot. All thanks to that never-ending ‘what to wear to work’ dilemma! If you think creating a capsule wardrobe for work would be a daunting task, you can’t be more wrong- all you need is the right essentials and you are good to go. But do you know which essentials we mean by right essentials? Well, have a look here. Below, you find every important Essentials to Build Capsule Wardrobe for Work so that dressing for work never seems like a chore. The first and most important Essentials to Build Capsule Wardrobe for Work is a white shirt. Listen up, this piece is going to be your staple, so invest in a good product from some reputed brand. Now, why we say solid colored pumps and not printed ones is because we don’t want your pumps to show tantrums while you pair them up with the outfits in the wardrobe. Now, can there be anything more important to your work capsule wardrobe than a pair of decent black trousers? Of course not! We would recommend you to invest in a good pair or borrow from your old wardrobe if you had one. Both these varieties of scarfs are going to be your savior when you can’t decide on which color or pattern will go with a particular outfit. Also, if you don’t want the mess that gets created in the house during a scarf-search mission, then two basic colors are more than enough for you. yes, you can go for some decent prints and patterns on them. And to look different every day with a pair of the scarf, you should check these 7 amazing scarf tying ideas for a fashionable change. Another critically important Essentials to Build Capsule Wardrobe for Work is a black blazer. This is the way to basic and there is no reason why you should overlook it. This blazer will make your business meets impactful in its truest sense. When it comes to working wardrobe, you simply can’t do without a striped shirt. But make sure, the stripes are in white and blue- alternating each other. This is a shirt that will go with most of your trousers. For days, when you want to wear something less office-like, a t-shirt in some basic color seems like the best bet. See to it, that the t-shirt doesn’t look like it’s meant for playing sports. Your blue denim will help you through days when the office becomes a burden on your shoulders. Dressed up in a pair of jeans and a blouse of your choice, you will find your job less tedious. You can check some ideas to achieve extra stylish looks with your basic Blue Denim. If you are into the more professional dressing, you sure want a pencil skirt in your capsule wardrobe. Well, go for it! In fact, go for all basic colors you can think of. Don’t scroll down without checking some really gorgeous professional skirt outfits for work to try. Have you shopped for the right belt yet? Don’t forget to invest in a good belt, rather two good belts- one brown, and the other black. Choosing every essentials to Build Capsule Wardrobe for Work carefully is extremely important. Your capsule wardrobe has to last for a few months, after all. Any laxity you show in this regard can backfire later. Starting from deciding on what to stock in the wardrobe, to shopping for the items has to be done with a lot of present-mindedness. 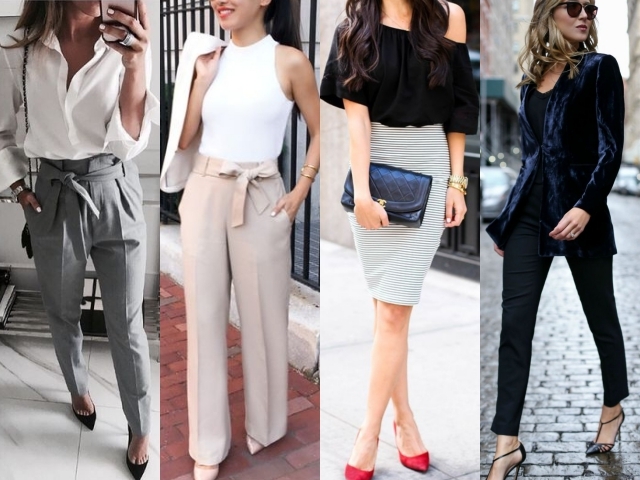 If you are game for it, then the super amazing capsule wardrobe for work is all yours!